More often than not clocks brought to me only require a strip down and clean in the ultrasonic tank to start running again. I give a 2 year guarantee but in reality I do not expect to see the clock again for at least 5 years so I make sure any holes that need bushing are bushed and all tired springs are replaced. 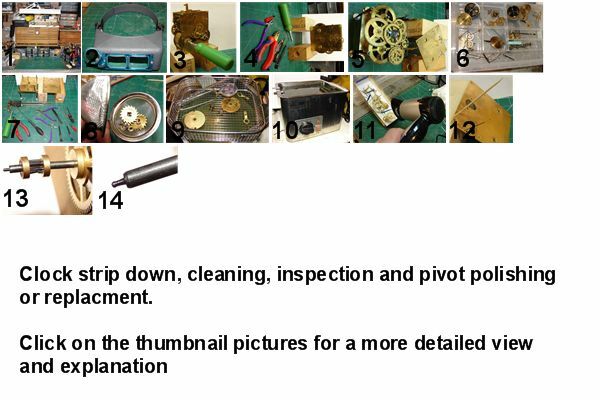 but its dirt that stops most clocks the oil drys up and the only way to clean it off on most clocks is to fully strip down the movement.